A fun and creative book for cat lovers, crafters, and pop-culture devotees alike. Following the success of recent bestsellers like Grumpy Cat and How to Tell if Your Cat is Plotting to Kill You, TINY HATS ON CATS combines adorable photos of cats with author Adam Ellis's hilarious anecdotes, but also has a fun DIY element: Readers will learn how to craft colorful and creative feline headgear from the book's step-by-step instructions. 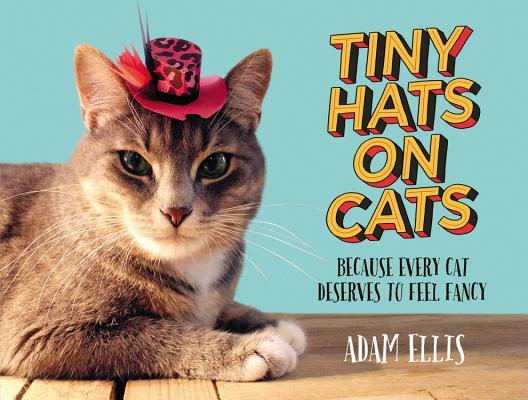 With a portable trim size and a beautifully designed interior, TINY HATS ON CATS is the perfect gift for every animal lover or for any reader who wants their cat to feel just a little more fancy. Adam Ellis is a 29-year-old artist and blogger and works as an illustrator at BuzzFeed. His first book, Books of Adam: The Blunder Years, was published by Grand Central Publishing in 2013. Originally from Montana, Adam now lives in New York City with his two cats, Maxwell and Pepper.